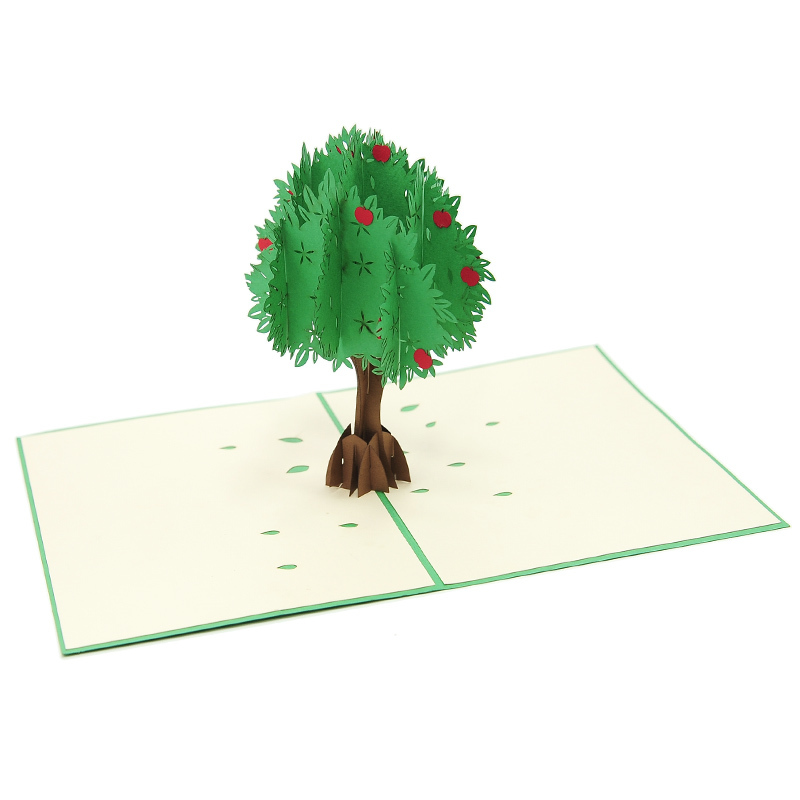 Apple tree pop up card has a green cover with a beautiful Apple tree pattern. The image reveals just enough of the surprise inside. Open the card and you will find a stunning three-dimensional sculpture of a giant Apple tree with green leaves and red fruits. We paid full attention to even smallest detail like constructing each branch to make the Pop-up become the most lively. Sitting under an apple tree always brings a sense of chilling and calm to receivers. This sweet and flavourful fruit is the favorite of many people. If your mother, father or co-working friend is an apple lover, she/ he will sure feel delighted to receive this pop up card. Our craftsmen have carefully design layers and layers of the pop-up to make the sculptures look so vibrant and bring great excitement to receivers. 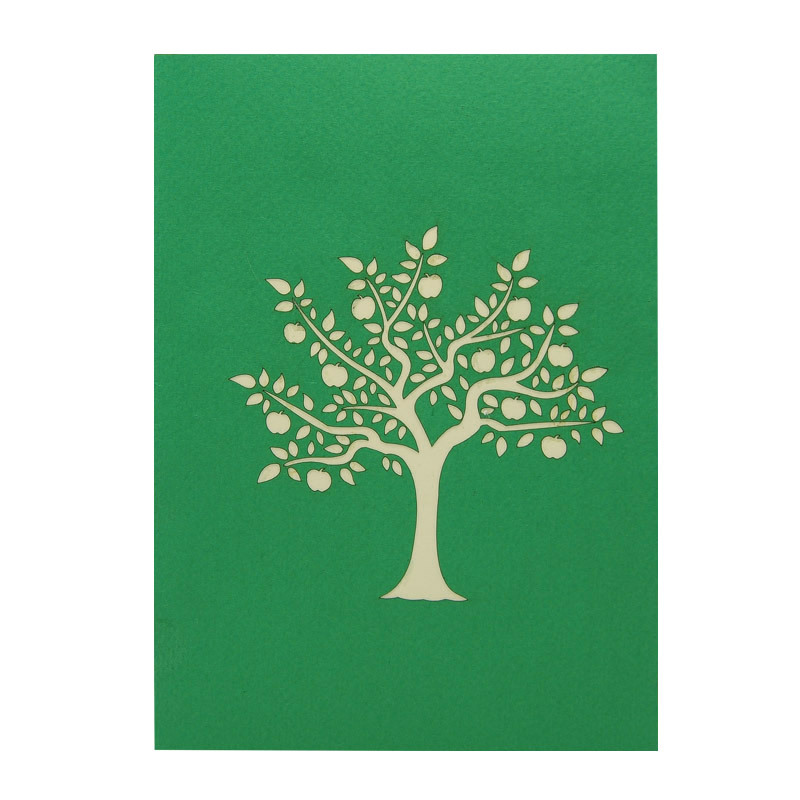 Apple tree Card is a simple delicate gift for any occasion. Give this handmade pop up card to your family, friends or family to surprise them without a reason but only to tell them how much you care. Love these cards. They come to life which set themselves apart from your typical greeting card. Well made and simply beautiful. Excellent. Worth the price because they are unique and unexpected. Recently sent two of your gorgeous pop-up cards and both recipients were delighted with them. And they were delivered right on time, as promised. Will definitely send them in the future. 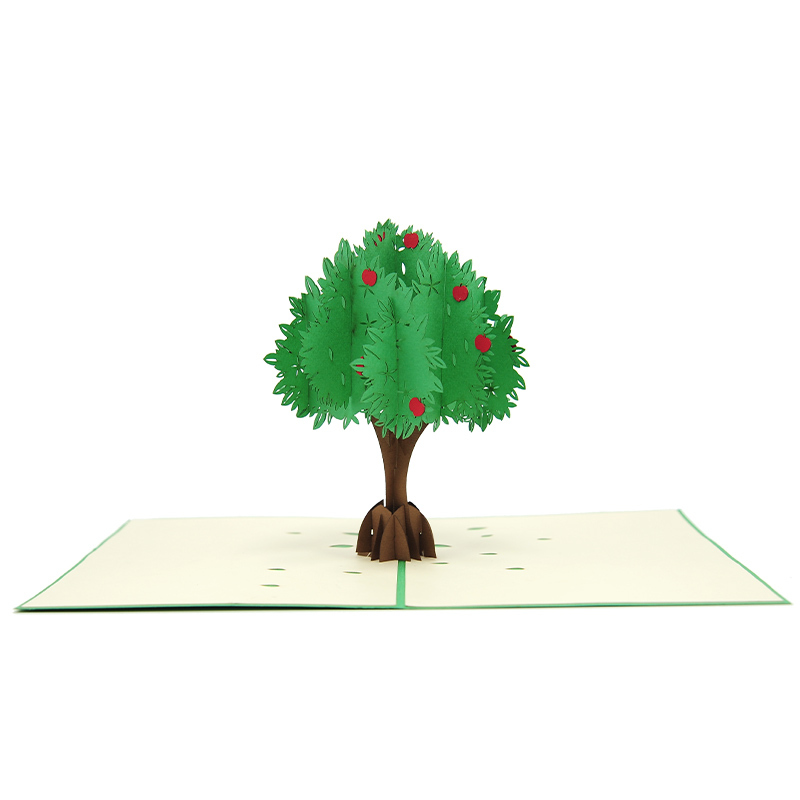 Hey Buddy!, I found this information for you: "Apple Tree Pop Up Card". 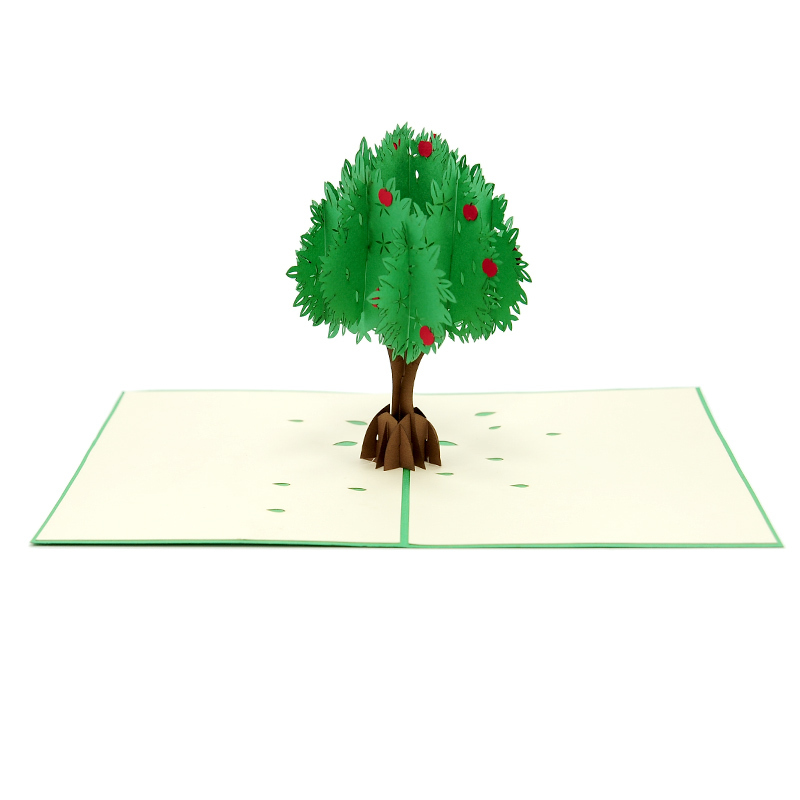 Here is the website link: https://charmpopcards.com/product/apple-tree-pop-up-card-fl041. Thank you.